Insider guide to Paris best restaurants, markets, cafes, pastry, chocolate & cheese shops. The Champagne region is a very ancient province of France located 45 minutes from Paris by fast train. Our full day excursion includes a fabulous lunch a la carte with fine champagne, and visits to exclusive Champagne Houses with Gallo Roman galleries. Christine, our local private guide will take us on an exclusive tour to visit Reims Monuments and the Regions most beautiful villages. Trip includes VIP transportation in Reims and surrounding communities, private guide, lunch a la carte with the finest champagne and first-class train tickets. The D-Day beaches are the historic site of Operation Overlord, the allied invasion of western Europe during World War II. We tour the landing beaches, battlefields, American Cemetery at Omaha Beach and see the various museums throughout the area. The trip could be extended to visit the seaside villages and interesting towns. 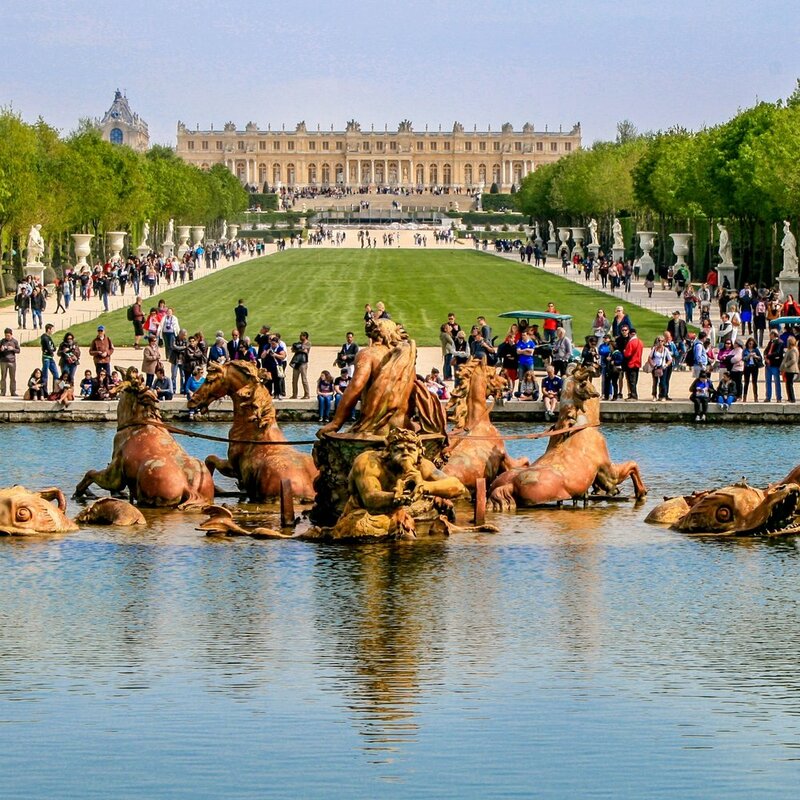 Versailles is the museum of the history of France and a symbol of the absolute monarchy. Our private guide will shed the light on 5 centuries of French history and will help you navigate through Hall of Mirrors, the King's and the State Apartments, the Royal Chapel and the exquisite Gardens. About one hour and half Northeast of Paris, you will find the cute village of Giverny. This is where Claude Monet lived and worked for most of his life. Visit Monet's home ( Fondation Monet ) with its legendery gardens, Clos Normand in front of his house and the Japanese inspired garden on the other side of the road. This is where the master got his inspiration and produced the famous water lily series.